At fifteen years old, Pedro our handsome skewbald donkey is still young and rather mischievous. 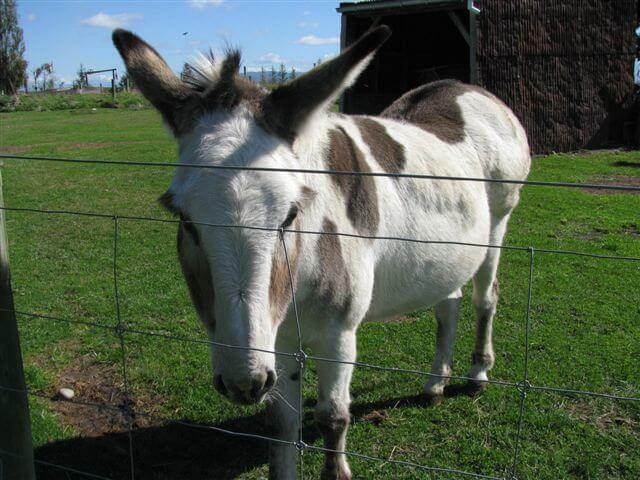 Being best suited to arid climates, too much green grass can become a problem for donkeys. This has been the case with Pedro so we try to keep him in paddocks that have already been grazed by sheep and ensure he always has dry straw. Donkeys have been used as a draught or pack animals for at least 5000 years as they still are today in parts of the developing world. Always alert and curious, Hadley the white alpaca is nearly ten years old. Joaquim, Julio and he enjoy each other’s company every day of the year but one: their annual shearing day. They look very different with no fleece and apparently do not recognise each other. This results in a lively spat, usually involving some spitting, until the pecking order is re-established. When compared to sheep’s wool, alpaca fibre is finer, warmer, softer on the skin and hypoallergenic, making it ideal for those with sensitive skin. We stock a range of beautiful alpaca throws in our store. Joaquim and Julio came to The Tin Shed to live in December 2014 when they were a year old. They have settled well and grown in size. Although they were born in New Zealand their ancestors came from the mountainous Andes area of South America. 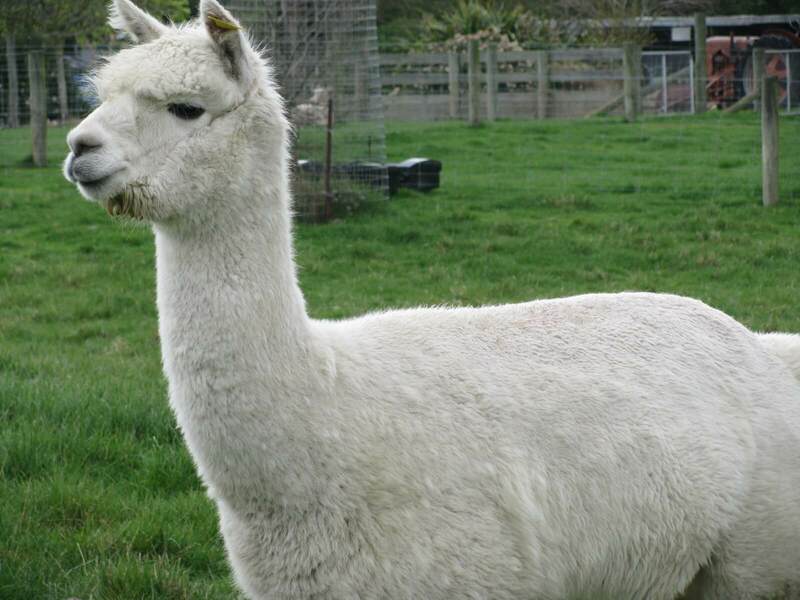 Alpaca are members of the camelid family and are closely related to llamas, vicunas and camels. 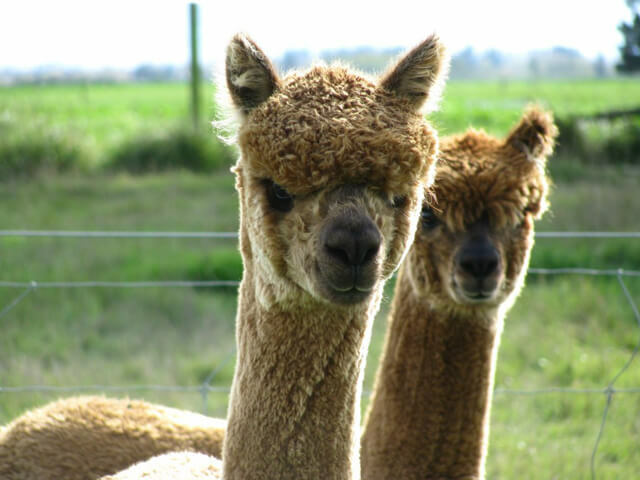 Alpaca fibre is soft, durable, lustruous and silky. It is warmer than wool, has no prickle and is classified non allergenic as it contains no lanolin. Check our alpaca throws in store. 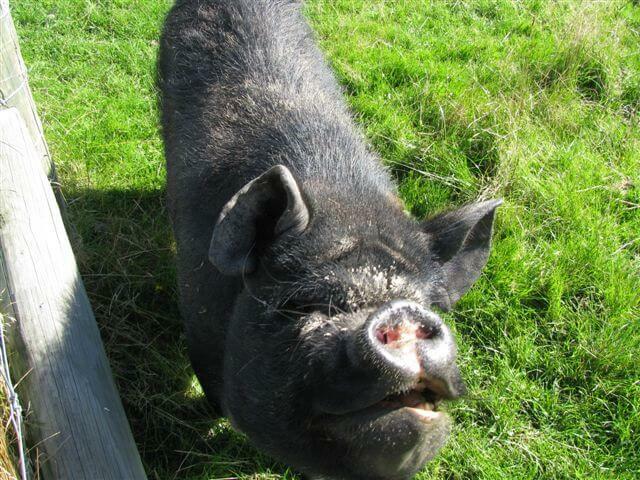 Kunekune means fat and round in Maori and going by that description Winnie is an exemplary specimen. Kunekunes are thought to be descended from an Asian domestic breed brought to New Zealand by whalers and were later farmed by Maori. Their numbers declined in the 20th century and by 1980 only 50 animals were left. However thanks to a breeding programme started by rare breed societies, numbers have increased and the species in no longer endangered. Nicky the Tin Shed cat has lived here for fifteen years. An accomplished hunter in her younger days, regularly catching mice and wild rabbits, she now seems more preoccupied with comfort and relaxation. Perhaps unsurprisingly, after living in a wool store for fifteen years, she has become very particular about her sleeping arrangements and will always curl up on the most luxurious and fluffy sheepskin. In winter she warms up by sitting on the bonnets of cars outside the shop. 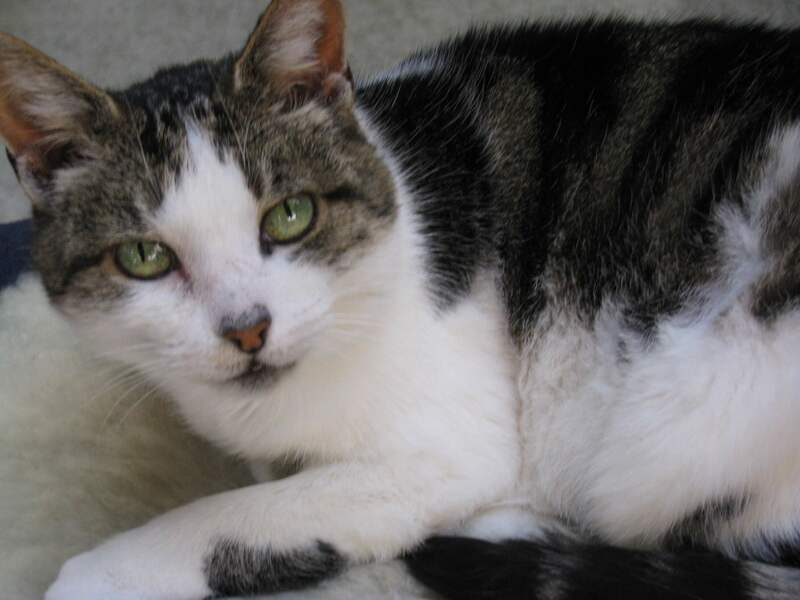 Dolly spent her early days as a family pet and has a lovely gentle nature and friendly personality. She loves to come up to the fence for a pat or a scratch on the nose. 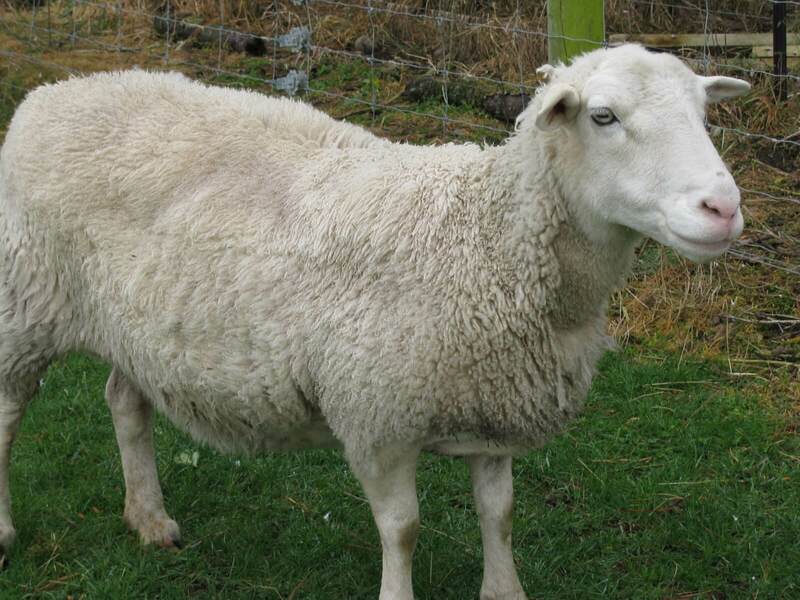 Dorper sheep were bred and developed in South Africa to grow quickly and tolerate arid conditions. Dorpers have only a very short light coat of wool that sheds itself in late spring and summer and so require no shearing. Any remaining tufts of wool can be pulled off by hand. Introduced around 1850 by Australians to the uninhabited, sub-Antarctic, Enderby Island in New Zealand’s Auckland Islands group, the rabbits were meant to serve as castaway food. Over 130 years the isolated population became a distinct variety, breeding only once a year. 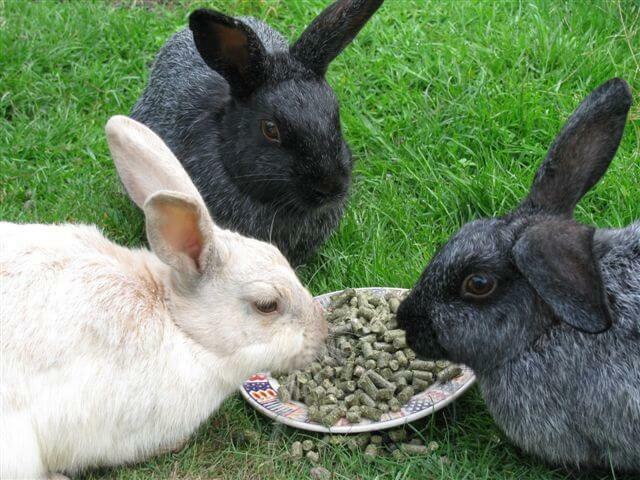 The rabbits were eventually exterminated from Enderby Island in the 1990s, but a breeding group was rescued by the Rare Breeds Conservation Society of New Zealand. Our magnificent rooster keeps a constant vigil over the hen enclosures and the entrance to the native garden. Rain, snow or shine, this staunch Kiwi remains expressionless, never complaining, just watching through unflinching steely eyes. 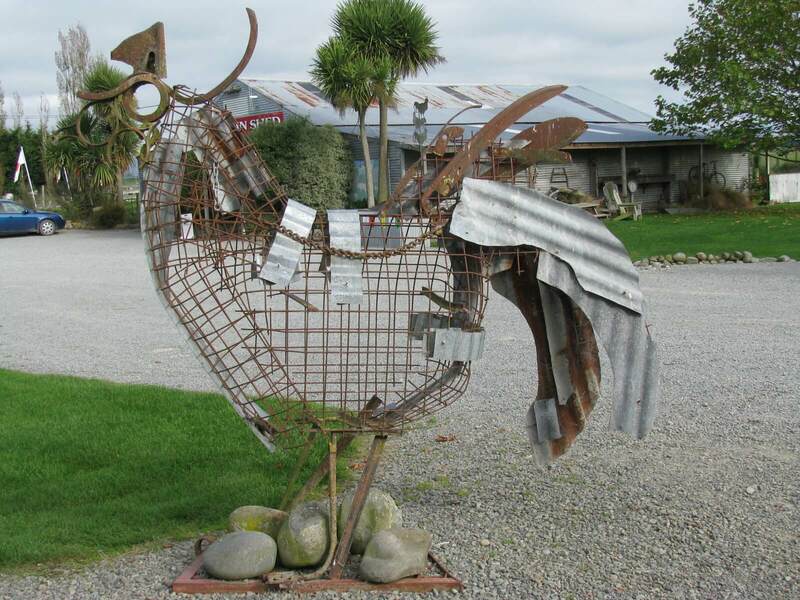 He was constructed several years ago by prominent New Zealand artist Michael Armstrong and Keith Millbrook, an engineer and sculptor. Made from parts of old farm machinery, tools and iron sheets, he is literally hard as nails and built to last. Although they are wild and therefore not actually ours, this magnificent pair of Paradise ducks has chosen a sheltered bank running beside our water race to build their nest and raise their young. This large goose-like bird, traditionally a prized game bird, is endemic to New Zealand. 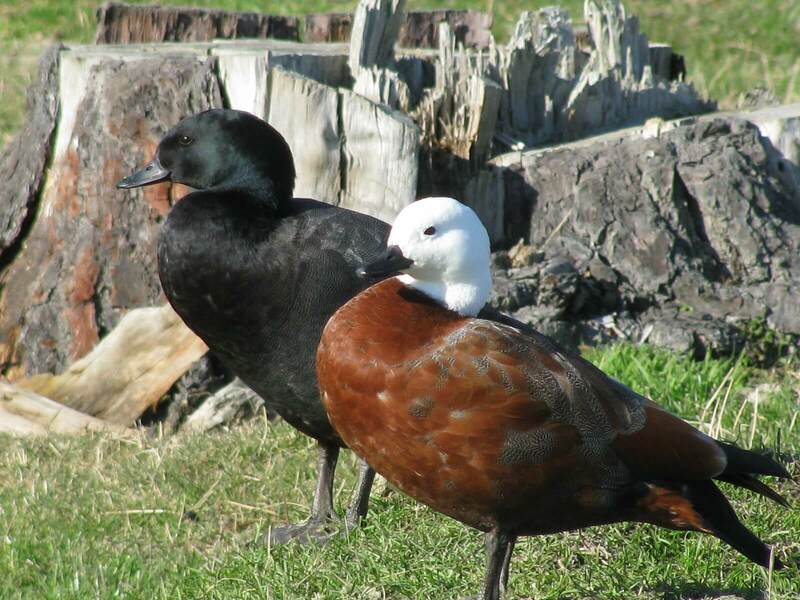 Mating for life, both the males and females have striking plumage, the male with a black head and barred black body, while the female has a white head with a chestnut body. Silkies are the smallest and fluffiest chicken breed we have at the Tin Shed. The earliest written account of Silkies comes from Marco Polo, who wrote of a furry Asian chicken in the 13th century. 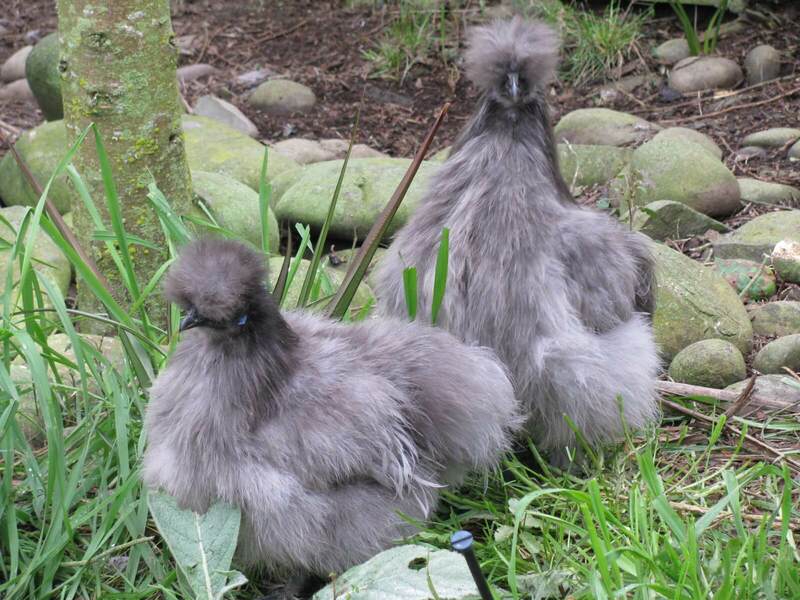 Silkies are well-known for their calm, friendly temperament and are reasonable egg layers, laying up to three small white eggs a week. 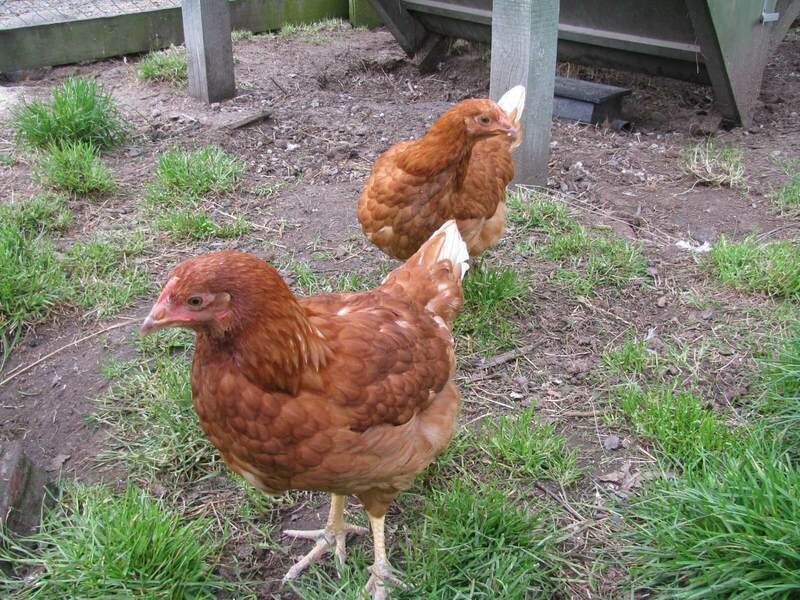 Hens are also exceptionally broody and commonly used to hatch eggs from other breeds and bird species. Our Sussex chickens are excellent foragers and love scratching for worms and pecking for seeds amongst the tussock grasses in their cage. Originating in the English county of Sussex more than 100 years ago, they were prized table birds and are one of the oldest chicken breeds still in existence today. Bred as a dual purpose bird, they are still among the most productive with a fast growth rate, and young hens laying around 260 cream-coloured large eggs a year. If you had eggs for breakfast, chances are they came from this breed of chicken. They are prolific layers that were developed for the commercial egg industry. These hens will lay around one egg each day for their first two years, and because our hens have grass and greens to snack on, their egg yolks are extra yellow. 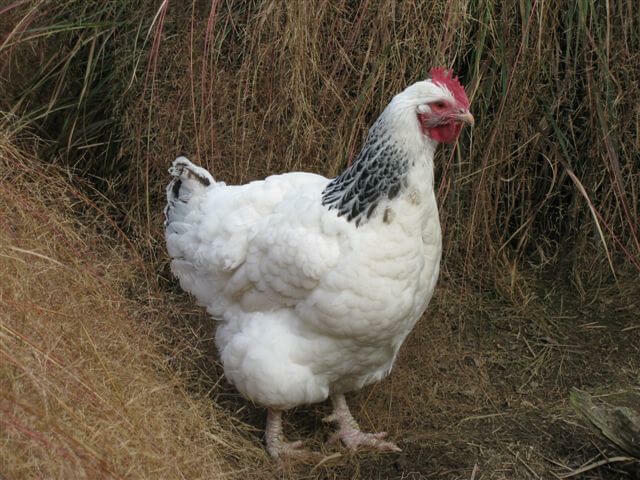 Layer hens naturally flock and prescribe to a pecking order or hierarchy within their group. 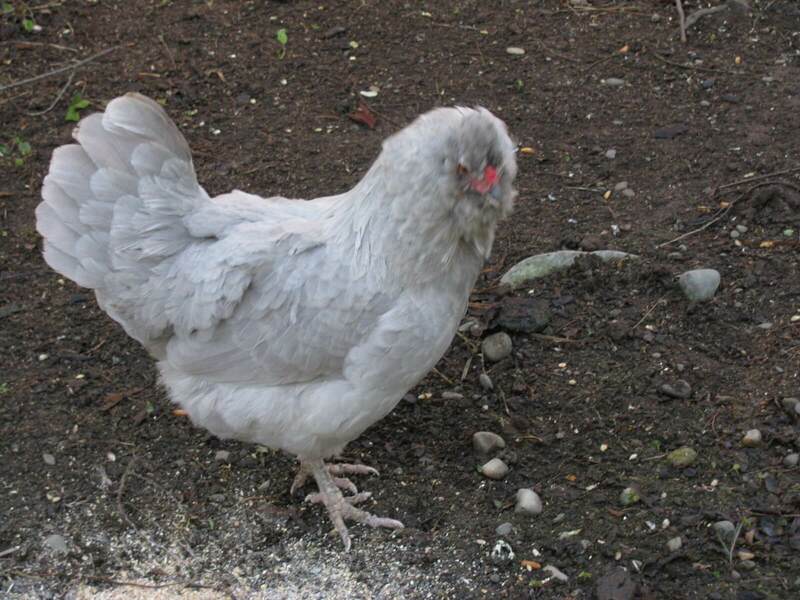 The stunning silver-grey colour on this Araucana hen is known as lavender. Araucana chickens originate from South America and are named after the Arauca Indians of Chile. A small but hardy breed, they were introduced to Europe in the early 1900s, famous as layers of incredible blue-green coloured eggs. Although the shell is blue inside and out, the egg inside is the same as any other. They have a little tuft of feathers on top of their heads. 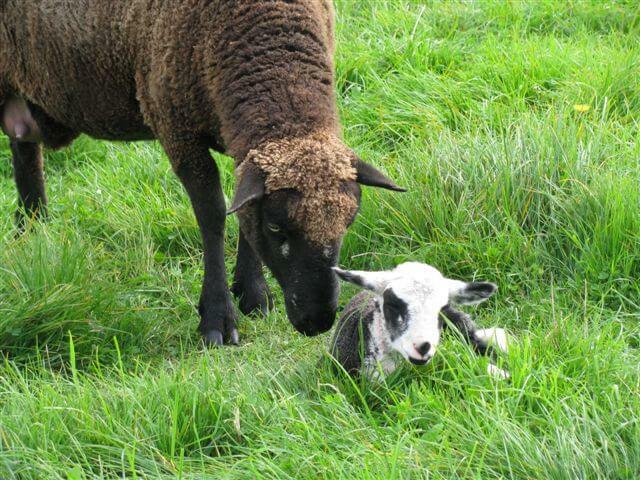 This brown ewe is a Dorper-Merino cross and very proud of her first lamb. Sheep and their lambs used to be a common sight in spring throughout Canterbury, but as more and more farmers have switched to dairy they have become much less visible. The Tin Shed has always had sheep and with a business founded on wool, we are not about to stop now. Merinos produce the finest wool fibres of all the sheep breeds, making it ideal for the high quality, lightweight garments found in-store.